Chinese Inner Alchemy includes meditation, breathing and movement exercises like Qigong and taijiquan. In both Chinese Daoist alchemy and the Western Royal Art, two distinct interpretations of alchemy have developed over time: ‘external alchemy’ (Mandarin waidan) and ‘internal alchemy’ (neidan). ‘External alchemy’ is the literal interpretation, producing and consuming herbal recipes, pills, powders and elixirs with the intention of cultivating life and longevity or achieving physical immortality. By contrast, ‘internal alchemy,’ also called inner alchemy or symbolic alchemy, is a path of meditative cultivation that includes some combination of strict moral discipline, a regimented or healthy diet, and specialized exercises to nourish and purify spirit, called quintessence or life-force. Symbolic alchemy often includes breath control, meditation, visualization, moderation of carnal practices, and physical exercises. It also, therefore, aims to nurture and prolong life, but only incidentally. Symbolic alchemy is also a form of therapy, as exemplified by C. G. Jung’s analytical psychology. The first known alchemist was the Chinese Zou Yan (Tsou Yen), who lived at the same time that signs of alchemy arose in Babylon and Egypt, during the third and fourth centuries before the Western Christian Era. In time, respected Chinese scholars, priests and even emperors, became deeply interested in alchemical pursuits. Visualization and breathing techniques prepared the empire, from crown to peasant, for ancient and timeless meditation, first described by some of the first Daoist philosophical texts. The first collections of these instructional and inspirational texts were attributed to Laozi (Lao Tzu), who is supposed to have lived in the fifth century BCE, though the literature is dated no earlier than the middle of the fourth century BCE. The legendary Laozi’s Daode jing (Tao Te Ching), or Classic of the Way and Its Virtue, is also simply called the Laozi. It is a compilation of mature contemplations written as a guide addressed to a ruler. Commentaries on the Laozi, notably the Xiang’er, Heshang gong and Wang Bi commentaries, increased its popularity. 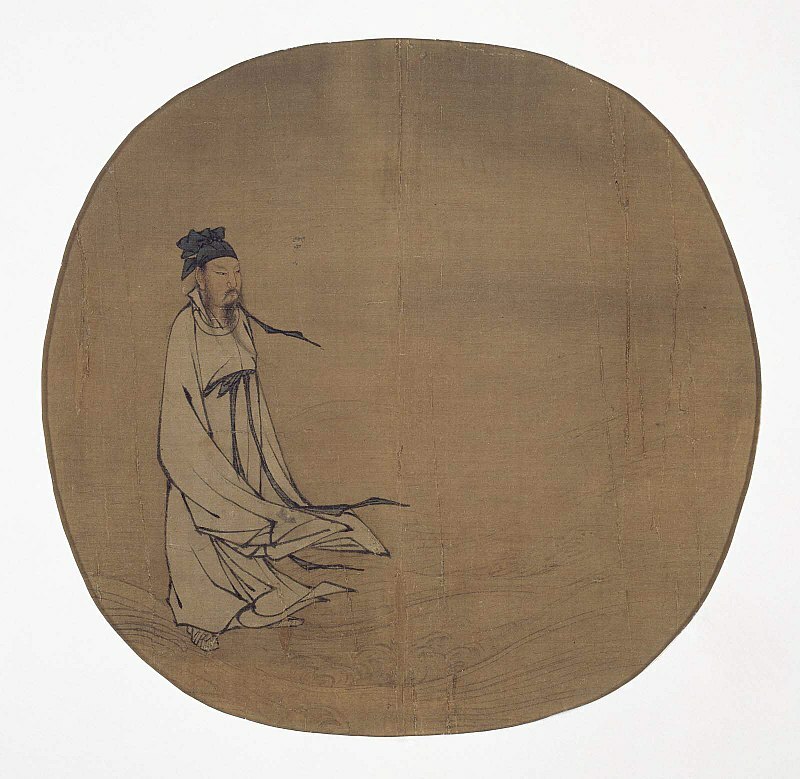 Following the Laozi was the Zhuangzi, fourth century BCE, and the fourth century CE text Liezi, attributed to a fifth century BCE philosopher mentioned by Zhuangzi. These three collections of writings are the primary texts of Daoist philosophy. Many other Daoist works would follow, especially Huang-Lao texts, such as the second century BCE Huainanzi and various non-extant or recently discovered ancient manuscripts claiming to represent the words of the Yellow Emperor. Huang-Lao Daoism refers to the metaphysical and legalist philosophical tradition attributed to the mythological Yellow Emperor and Laozi. Huang-Lao was the primary philosophy of the Han imperial court until it was replaced with Confucianism during the first century BCE. Lu-Chiang Wu, Tenney L. Davis and Wei Po-Yang. “An Ancient Chinese Treatise on Alchemy Entitled Ts’an T’ung Ch’i.” Isis Vol. 18, No. 2 (Oct., 1932). The University of Chicago Press. pp. 210-289. 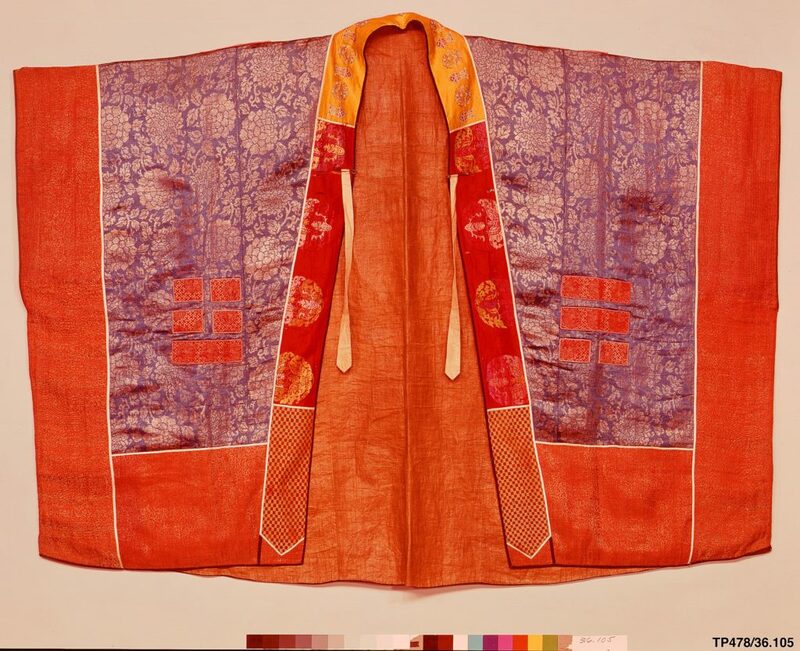 The ancient silk manuscripts discovered in 1973 at the Mawangdui site in Changsha, China, offer a glimpse into Huang-Lao philosophy. Early English translations include that of Robin D. S. Yates, Five Lost Classics: Tao, Huanglao, and Yin-Yang in Han China, Random House, Inc., New York, 1997. The ultimate origin of alchemy in China lay in the Daoist magicians. These recluses, from discussions on the Laozi, developed the idea of a hsien or human being made immortal through holistic lifestyle, meditation, breathing techniques, visualization, diet and drugs. It was natural that some would turn to the proto-science of alchemy in the attempt to chemically produce recipes for health and longevity or even an elixir of immortality. King Zheng of Qin (259 – 210 BCE), the founder of the Qin dynasty, called himself Qin Shi Huang, the “First Emperor of Qin,” in 220 BCE when he conquered the other Warring States and became the first emperor of a unified China. The Great Wall of China and the now famous Terracotta Warriors were built under his auspices. When he ascended the throne at age thirteen he began the construction of his own tomb. This project required 700,000 workers and thirty-eight years to complete. The traditional Chinese belief is that replicas of property burned at a funeral or buried with the departed will pass into possession of the deceased in the afterlife. Within an area of 100 square kilometers of buried buildings is enclosed a walled city within a walled city, which contains a massive pyramid, over twice the volume of the Great Pyramid of Giza in Egypt. This pyramid was buried about seven meters deep and covered in foliage and trees. At the bottom of the pyramid, guarded by booby-traps armed with arrows, was the emperor’s tomb. 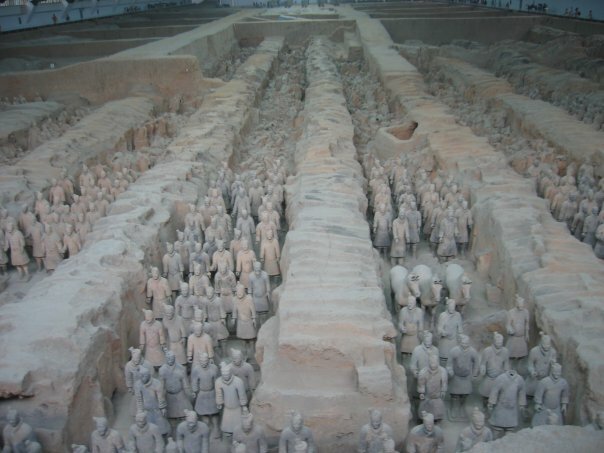 The Terracotta Warriors are replicas of the emperor’s army, about 8,000 life-sized sculptures, placed within the mausoleum to accompany the emperor to the afterlife. Maidens were buried with the emperor to serve in his harem, as were the craftsmen who built his tomb, to keep its secrets secure. Believing in alchemy as a way to longevity, the emperor ingested mercury pills in his quest for an elixir of immortality which, ironically, killed him at the age of thirty-nine. His tomb was completed just over a year after he died. In the Han Dynasty (206 BCE – 220 CE) wandering ascetics who practiced magic and alchemy began to revere Laozi as an idealized alchemist and immortal with superhuman powers. This version of Laozi appears in the first collection of Daoist hagiographies, the Immortals’ Biographies of Liu Xiang (c. 79-8 BCE) and he appears in the Biographies of Spirit Immortals by Ko Hung (c. 283 – 343 CE.) By the end of the Tang dynasty, in the tenth century CE, internal alchemy had become the predominant paradigm in China. During the second century CE Laozi became the personification of the Dao under the Huang-Lao school of the Han elite. Huang Di, the Yellow Emperor, and Laozi, were worshipped as the perfect ruler and the perfect sage, respectively. These god immortals were to usher in an era of Great Peace. Thus, Laozi was revered as a god, the embodiment of the Dao, who incarnated as the savior of humanity for his chosen people. The oldest commentary to the Laozi, known as the Xiang’er commentary, was written in the second century CE for the Celestial Masters sect of religious Daoism. This was the first Daoist alchemical school to establish itself during the time China was becoming Daoist. It was founded by Zhang Daoling in 241 CE, who became the first Celestial Master after his revelations, and established a sovereign theocracy in what is now Sichuan. The Xiang’er commentary, which was and is to this day memorized and chanted as scripture, says, “Those who use qi and forcibly inhale and exhale do not harmonize with clarity and stillness and will not have longevity.” The ultimate goal is to lead a natural life and remain tranquil and pure, the mind a spontaneous void, ever embracing the One. The earliest alchemists in the world outside of China sought potions or medicine for longevity – but not for immortality – the archetypal quest for the elixir of immortality began in ancient China. To symbolize the state of enlightenment the Daoists called immortality, the early Zhuangzi, Chuci (Songs of the South), and Liezi texts described enchanted islands, sacred mountains and otherworldly palaces. These were inhabited by perfected alchemists who became god-like by consuming elixir or magic mushrooms, and who would fly away on the back of a dragon to live in one of the heavenly realms. Later Daoists, epitomized by the wise Confucian Ge Hong (283 – 343 CE), interpreted immortality in a literal sense and described operative alchemical techniques for health, magical powers and longevity, as well as immortality. And I watch them return to repose. And each returns to its root. To return to the root is tranquility and peace. Tranquility is the return to one’s destiny. To know destiny is to be wise. Not to know destiny is to be blind and reckless. Being blind and reckless, one’s actions will lead to misfortune. This is a direct instruction on meditation. The several texts of the Taipingjing, or Scriptures of the Great Peace, appeared during the Han Dynasty (first century BCE – second century CE), espousing the yin-yang and five elements theories. This scripture greatly influenced Zhang Jue, the ringleader of the Yellow Turban Rebellion, and remains extant in the Daoist Canon (Daozang). The idea of the Great Peace rested on the belief that human moral behavior held the balance of the natural world. Natural disasters and disease were caused by human sin, and the era of Great Peace would arrive when humans, under the leadership of Celestial Masters and benevolent rulers, cultivated the Dao and healed the mortal world. The Taipingjing, or Scriptures of the Great Peace, described the Guarding the One meditation and other meditations involving visualizations, most notably, colors corresponding with parts of the human anatomy. Zhang Ling, a.k.a. Zhang Daoling (34 – 156 CE), was the founder of the Way of the Celestial Masters sect of Daoist religion. This sect was known derogatively as the Way of the Five Pecks of Rice for the fee it imposed on its members. Zhang was a magistrate who in his later years had a vision of Laozi, which convinced him to adopt the title Celestial Master, as he was to lead a chosen few into the era of Great Peace after a period of apocalyptic disaster. Zhang developed the first Daoist pantheon and gathered a following of adherents, which at one time controlled a theocratic state. The ancient lineage has persisted to the present day headed by leaders bearing the title of Celestial Master. The founding of the Celestial Masters sect was followed by emergence of the Shangqing (Supreme Clarity or Great Purity, also known as the Mao Shan sect) and Lingbao (Sacred Jewel) traditions. These latter two schools borrowed much from the competing religion of Buddhism. The fourth and fifth century Mao Shan manuscripts, like those of Tao Hongjing, are the first texts to describe Daoist alchemical meditation techniques. The Shangqing sect originated in the visions of Lady Wei (252 – 334) in the year 288 CE. Lady Wei was a priest in the Celestial Masters sect when she received the True Scripture of Great Profundity and other scriptures via her visions. Her Huangting jing, “Scripture of the Yellow Court,” placed gods and spirits within organs of the human anatomy and prescribed visualizations upon which to meditate for spiritual harmony. The content is similar to the third century Laozi zhongjing, or “Central Scripture of Laozi.” These are some of the earliest instructional texts on Daoist meditation and inner alchemy. The reader is referred to Taoist Meditation, the Mao-Shan Tradition of Great Purity, by Isabelle Robinet, published in 1979 in French and translated to English by Julian F. Pas and Norman J. Girardot, published by the State University of New York Press, Albany, 1993. This book teases its readers with descriptions of meditations from various sources within the Daoist Canon, including The Scripture of the Yellow Court, The Scripture of Great Profundity, “Meditation on the Four Directions,” “Chart of the True Form of the Five Peaks,” “The Scarlet Breath of the Red Furnace,” “Scripture of the March on the Net of Heaven,” “Jade Characters of the Golden Book,” Book of the Three Charts Which Open Heaven, and many others. The Cantong Qi, “Kinship of the Three,” or “Triplex Unity,” attributed to the second century Wei Boyang, is an important work on Chinese inner alchemy. The text unifies the doctrines of the Yijing (I Ching), the Daoism of Laozi and Daoist alchemy. The Shangqing “The Upper Scripture of the Purple Texts Inscribed by the Spirit” was revealed to Yang Xi (330 – 386) and included in the first collections of the Daoist Canon. This work describes lucid visions, symbolic alchemical visualization techniques, and the use of talismans. It includes sexual alchemy and Daoist magic. Examples of Daoist alchemical processes, including the shouyi, or “Guarding the One,” meditation may be explored in Jin Dynasty scholar and alchemist Ge Hung’s Baopuzi (Book of the Master Who Embraces Simplicity). Consult Alchemy, Medicine & Religion in the China of A.D. 320; the Nei P’ien of Ko Hung. Translated and Edited by James R. Ware. Dover Publications, Inc. New York. 1966. The Secret 9-Crucible Cinnabars of the Yellow Emperor is found on p. 75 and the Lord Lao Meditation is on p. 256. The Lingbao (“Numinous Treasure”) school was formed around 400 CE. Ge Hong’s nephew, Ge Chaofu, produced Daoist scriptures Wufujing, “The Book of Five Talismans” which he claimed had been passed down from Ge Xuan, the great uncle of Ge Hong. The Lingbao sect blended Buddhist ideas into the native Chinese Daoist religion, such as certain elements of cosmology and the belief in reincarnation. It borrowed largely from Shangqing scriptures and Celestial Masters sect ritual. About 420 CE arose the first religious myth surrounding the birth of Laozi. It was written in the Scripture of the Inner Explanation of the Three Heavens of the Celestial Masters sect. According to the scripture, Laozi is the embodiment of the Dao, who incarnated first as Laozi in China and secondly as the Buddha in India. Further scriptures describe mythological accounts of Laozi’s meeting with Yinzi, writing the Daode jing and journeying West. During the Tang Dynasty (618 – 907) the competition between the Daoist and Buddhist religions caused both traditions to develop new methods and adopt aspects of the other’s beliefs and practices. This period saw the proliferation of Vajrayana Buddhist Tantras and Daoist classics on meditation. 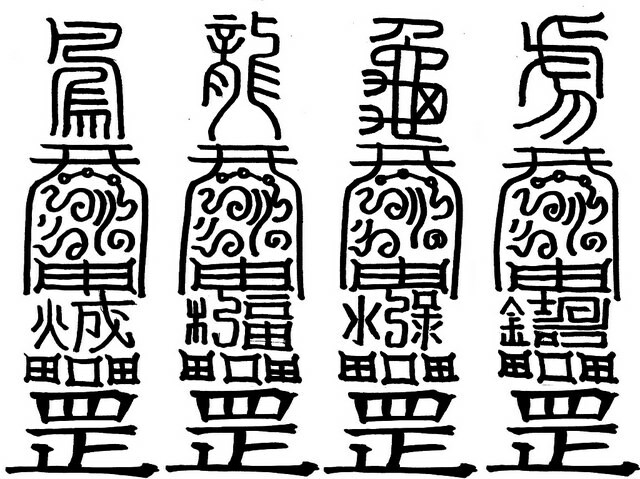 Notable among the Tang Daoist texts were the Cunshen lianqi ming, or “Inscription on Visualization of Spirit and Refinement of Energy” by Sun Simiao, the Zuowanglun, or “Essay on Sitting in Forgetfulness,’ of Sima Chengzhen, and the Shenxian kexue lun, “Essay on How One May Become a Divine Immortal through Training,” by Wu Yun. These works focused on concentration, cosmology, visualization and absorption in the Dao. The ninth century Daoist Qingjing Jing, “Classic of Purity and Stillness,” combines Daoist guan, or observational meditation, and Buddhist Vippasana, or insight meditation. Early Daoist Scriptures. Stephen R. Bokenkamp. University of California Press. 1997, p. 275. Livia Kohn, “The Lao-Tzu Myth,” Lao-Tzu and the Tao-Te-Ching edited by Livia Kohn and Michael Lafargue, State University of New York Press, 1998. Daoist Thunder Magic involved deities, spirits, magic ritual, incantations, exorcism, mudras and talismans. It was first mentioned in writing in the Taishang Dongyuan Shenzhou Jing, or The Book of Divine Incantations of the Supreme Pervasive Abyss, which was prefaced by the Daoist priest Du Guangting (850 – 933). Thunder Magic was an integral aspect of the Celestial Master sect by the twelfth century. Michael Saso’s Taoist Master Chuang, (Sacred Mountain Press, Eldorado Springs, CO, 2000) describes interesting alchemical meditations and rituals, including Thunder Magic from the Pole Star sect of Mount Wudang. His classification of “orthodox” and “unorthodox” teachings has come under some scholarly criticism, but his contribution is significant, nonetheless. Scriptures, Schools and Forms of Practice in Daoism: A Berlin Symposium, edited by Poul Andersen, Florian C. Reiter, Harrassowitz Verlog, Weissbadden 2005, pp. 97 – 114. Operative alchemy in China began in the Western Han Dynasty (206 BCE – 24 CE) as a synthesis of metallurgy and chemistry, and drove the Emperor to ban the manufacture of counterfeit gold. Huan Tan (43 BCE – 28 CE) asserts in his Hsin-Lun, New Treatise, the existence of a preparation that transforms quicksilver into silver. Liu Xiang (79 – 8 BCE) was a great intellectual and author of the time, compiler of the first imperial library catalog, and traditionally incorrectly assumed to be the author of the Daoist Biographies of the Immortals. He vouched for an alchemist’s claims to have transmuted base metals to gold and, unable to repeat the process, Liu Xiang was humiliated. During the Eastern Han Dynasty, Wei Boyang, an alchemist and author of The Kinship of the Three, was the first to publish the chemical structure of gunpowder. A pseudonymous writing from the early second century CE attributed to him describes a recipe for an elixir of life based on the Yijing (Classic of Changes) and the philosophy that a mortal may consume a tincture with gold to become an immortal. It is most likely that symbolic alchemy passed from China to the Persian Magi. These Magi had contact with the Chinese long before the Islamic conquest of Persia (modern day Iran). Pre-Islamic period Arab philosophers learned internal alchemy from the Persian Magi, disciples of Zoroaster (or Zarathustra), prophet of Ahura Mazda, and brought the ideas to Greece, where alchemy was being practiced by the first century prior to the Christian era. 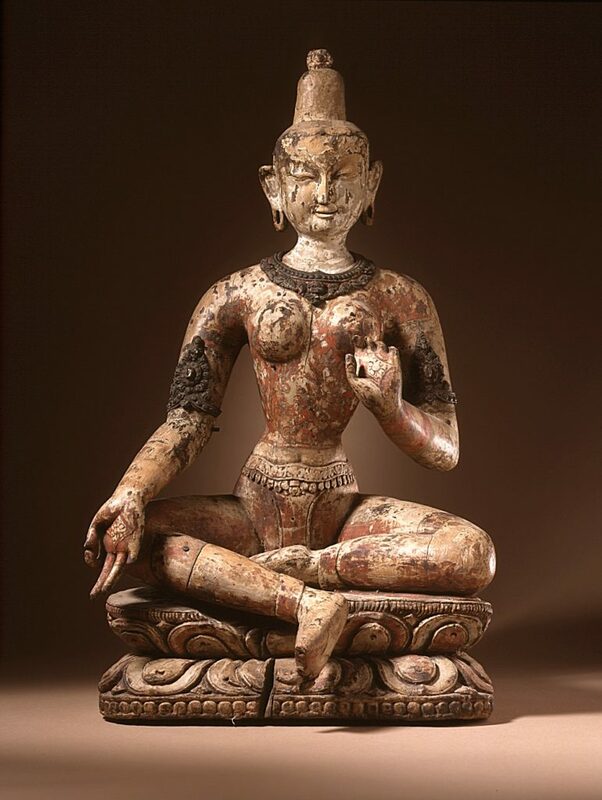 About this time in Asia, there were ideas of transmuting base metals into gold in Buddhist texts, forming an alchemical conception of a much older tradition of meditation in India. 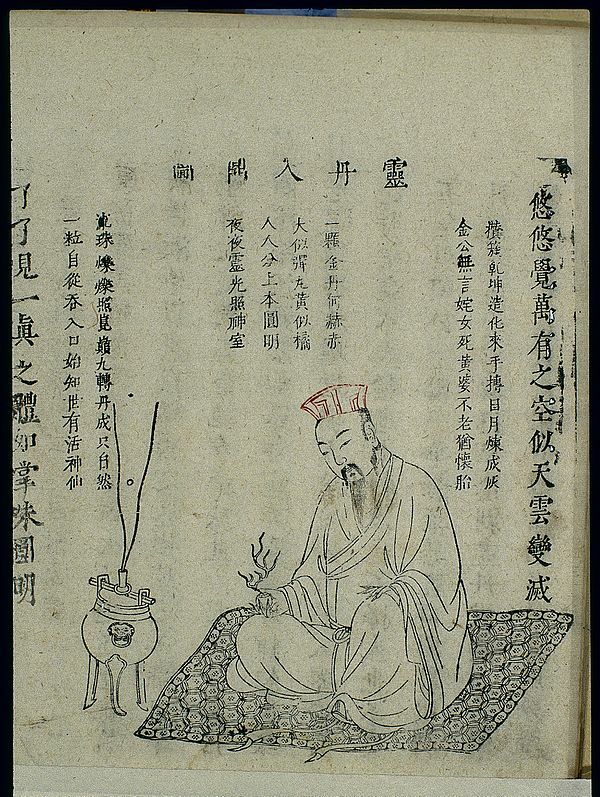 Later, being grounded in a global alchemical tradition, Arab aristocrats studied the Laozi meditation of the famous fourth century alchemist Ge Hong and other Chinese alchemical texts. It was through these Arab scholars and scientists that Europeans first encountered the ancient knowledge of both East and West, which sparked the illumination of the Renaissance period. Chinese alchemy had very little attention from the West even after the Renaissance made Europe acutely aware of its own lack of knowledge. Although alchemy in large part sparked Europe’s Scientific Revolution, after alchemy was rediscovered in the West, there was little or no interest in Eastern alchemical philosophies and practices for several centuries. It was a Swiss doctor of psychology that finally noticed and brought to light the profound value of the Chinese style internal alchemy to human mental health and holistic well-being. Carl Gustav Jung (1875 – 1961) was a Swiss student of the founder of modern psychoanalysis, Sigmund Freud. He developed his own system of psychotherapy that rivaled Freud’s from its inception. The Secret of the Golden Flower was written during the Qing Dynasty (1644 – 1912) by either Lü Dongbin, or his student Wang Chongyang, the founder of the Quanzhen School of religious alchemical Daoism. The Secret of the Golden Flower is a Chinese Daoist technical manual of meditation teaching the techniques of sitting silently, breathing and contemplation. The book was translated to German by Richard Wilhelm in 1929 with a commentary by Carl Jung, a personal friend of Wilhelm’s. It was this book that piqued Jung’s interest in alchemy and inspired his psychoanalytical methods, which are still in use today. It is clear by this that Chinese alchemy’s influence has reached even into the modern medical science of the twentieth and twenty-first centuries. 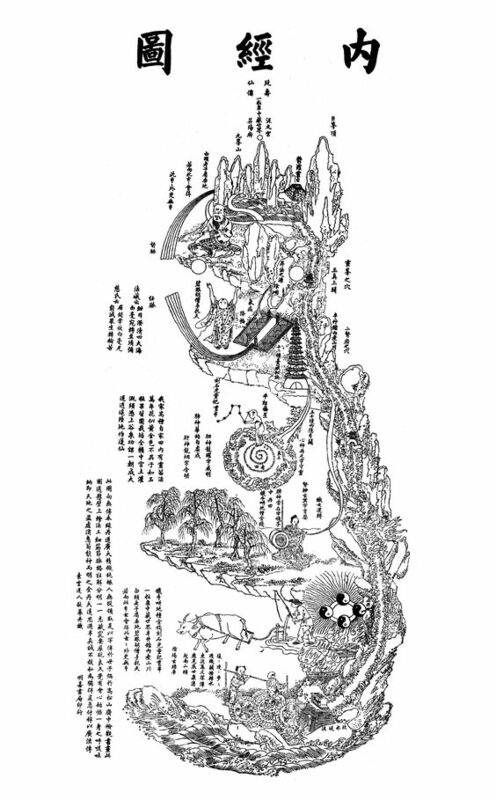 The science of forming a worldview, a taxonomy, and meditation in the form of visualization of this internal map, as accomplished in part by tantric and Qigong exercises, is very young and primitive. Such meditation with a scientific worldview, done properly, is likely to have a positive effect on health, cognition and material success. It would be of great interest, and probably of lasting benefit, to learn the outcome of experimentation in this subject. Qigong (Ch’i Kung), which means “work with Qi,” is the art of mastering Qi or life-force and discovering the “inner medicine” to sustain heath and balance. Although the practice hails from 4000-year-old traditional Chinese medicine, the word “Qigong” originates in Tang Dynasty (618 – 907 CE) Daoism. The word “gong” (“kung”) is well known from the Chinese martial arts, which are called wushu (“wu” means martial; “shu” means art) or gongfu (kung fu), a term that implies hard work of any kind. Qigong has traditionally been practiced with Chinese martial arts. This is an optimal way to utilize the benefits of Qigong. All Chinese martial arts derive from Shaolin boxing (quan). 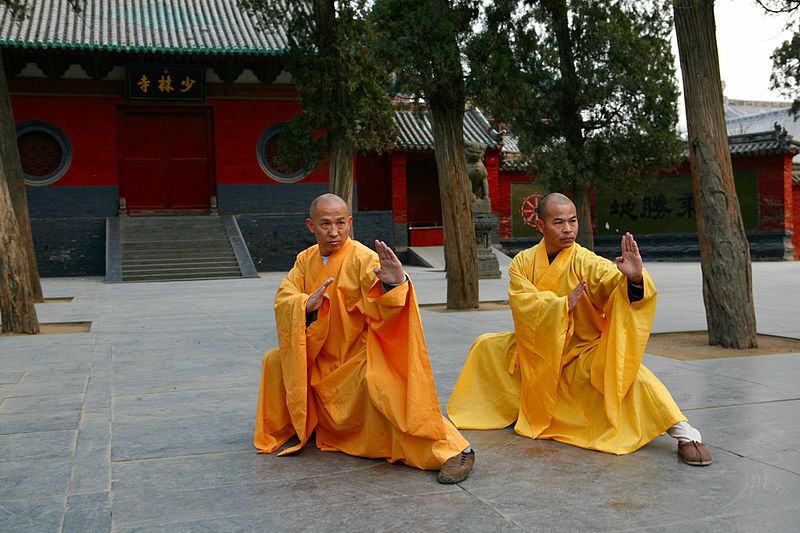 The Shaolin Temple Chan Buddhist monks originated the body-strengthening and self-defense exercises known as gongfu. Like the Shaolin Temple monks, Wudang Mountain Daoist monks have developed martial arts based on Qi circulation exercises. Taijiquan (Tai Chi Chuan), based on yin-yang philosophy; xing yi quan, (Hsing I Chuan) based on the five elements theory; bagua quan (Pa Gua Chuan), based on the eight trigrams theory; and Wudang Gongfu are the styles of Wushu developed by the Daoist monks of Wudang Shan in Hubei. There are several types of Qigong: Daoist, Buddhist, Confucian, martial art, and medical Qigong. In ancient times simple focused breathing was practiced by Daoists as Tu-Na, “expel and receive.” One form of Qigong is Neigong, a breathing, visualization and movement exercise. Neigong is best known for its place in “internal” or “soft style” martial arts, such as Taijiquan, Baguazhang and Xingyiquan, as opposed to the “external” or “hard style” of Shaolin boxing. An example of Neigong is the silk reeling exercise of the Wu and Chen styles of taijiquan. Wudang Daoists say that “Qigong” is the first stage of practice in Neidan, or Daoist internal alchemy, a system of meditation. Daoyin (Tao Yin) is a non-martial form of Neigong exercise for the circulation of Qi and blood, a combination of neuro-muscular stretching, massage, breathing exercises, and meditation. Daoyin is an ancient exercise that predates Qigong as a therapeutic system of cultivating Qi. Daoyin was developed by monks in Chinese Daoist monasteries since at least the Warring States period (475 – 221 BCE), and Qi cultivation exercises likely existed centuries before this time. Traditional Chinese Medicine assigns the origin of Qigong to the legendary Yellow Emperor (2696–2598 BCE) and the classic of medicine attributed to him, the Huangdi Neijing. This second century BCE painting on silk is a chart of Daoyin exercises excavated at the Mawangdui Han tombs site in Hunan Province, China in 1973. It has been shown that the earliest instructions on meditation in China, including the Warring States Era (around 400 BCE) Xingqi Jade Inscription, the fourth century BCE work titled Neiye, and the famous Laozi, itself, all described regulation of Qi. As mentioned, “Xingqi” means “Circulating Qi,” and refers to the title of the jade inscription. 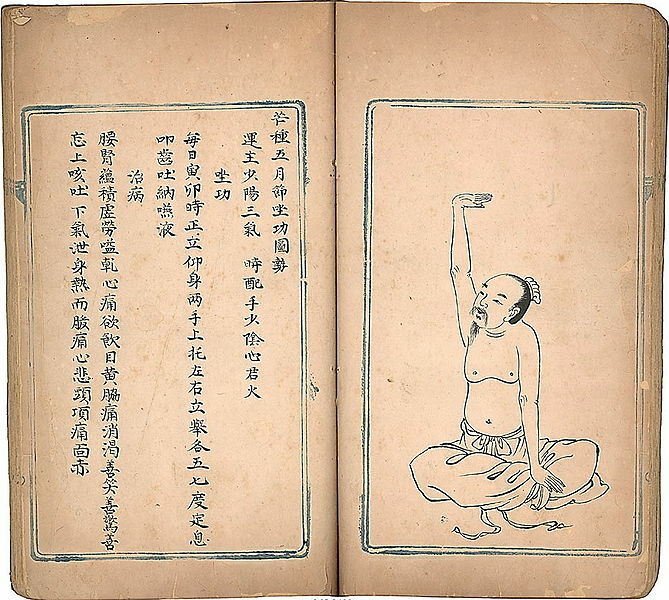 The Neiye was a short manual on breath and qi meditation, now believed to be the oldest mystical text in China. It introduced to traditional Chinese medicine and Daoist internal alchemy (Neidan) the concept of the Three Treasures: essence (jing), life-force (qi) and spirit (shen), and influenced the Laozi and the Zhuangzi. The Laozi did not mention Qigong exercises, but rather, introduced a policy of non-action (wu-wei) and making the breath soft. The Zhuangzi taught moral uprightness and meditation; however, it discouraged Qigong exercises as “panting” and “puffing” for longevity. Daoist religion developed along the principles of Laozi and Zhuangzi even as it continued to produce Qigong exercises and meditations involving the movement of Qi. Daoist monks on Mount Wudang incorporated Qigong into their martial arts. Confucians, following Mencius, viewed the cultivation of Qi as moral development. As mentioned above, Mencius developed his xin, or heart-mind, for physical, mental, moral and spiritual purposes. His system involved the Confucian way of life that included exercises to cultivate qi (life-force). Nourishing qi meant right behavior (yi) in alignment with the Dao (2A2 & 6A7-8). Neo-Confucianism developed its own style of meditation in the Song dynasty, Jing Zuo, “quiet sitting” or “sitting in silence” for health or spiritual cultivation. Qigong may be practiced during jingzou. Graham, A. C. (1989), Disputers of the Tao: Philosophical Argument in Ancient China, Open Court. Indian yogic techniques centered on the concept of attaining enlightenment through cultivating prana, the equivalent of Qi. Buddhism brought some of these Hindu yogic practices to China, where they may properly be termed Qigong. Chinese Buddhism found its ultimate expression in Chan (“Meditation”) Buddhism, first taught by the Six Patriarchs of China during the Tang Dynasty. The first Patriarch of Chan was an Indian named Bodhidharma, also known as DaMo, who is claimed to have been the 28th Patriarch of Buddhism in a lineage from Gautama Buddha. As the founder of Chan Buddhism, Bodhidharma was also credited with introducing tea consumption to China as a stimulant for monks during zazen, and teaching boxing at Shaolin temple. Chinese martial arts existed long before the monks at the Shaolin monastery began training in wushu, as evidenced by mentions of wrestling, hard techniques and soft techniques in the Chinese classics. Shaolin is named for Mount Shaoshi, one of seven mountains that form the Songshan mountain range. According to legend, the Shaolin temple was constructed in Henan Province in 495 CE around an Indian monk named Buddhabhadra, a.k.a. Batuo, and his two Chinese disciples Huiguang and Sengchou. These two monks were known martial artists. Bodhidharma arrived at the Shaolin temple in 527 CE and is said to have meditated facing the wall in a nearby cave for nine years. The legend goes that he refused to teach until, after weeks of keeping vigil in the snow, Dazu Huike cut off his own arm as a show of dedication. Huike was given a robe, a bowl and a scroll of the Laṅkāvatāra Sūtra along with the transmission of the Dharma. He became the first Chinese-born Patriarch of Chan Buddhism. Huike, like Huiguang and Sengchou, was a martial artist. 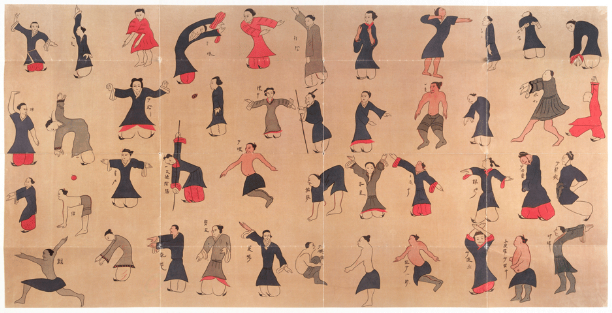 Two classics of Qigong exercise are traditionally falsely attributed to Bodhidharma, most likely written in the 17th – 19th century, the Yi Jin Jing (Muscle and Tendon Changing Classic) and the Xi Sui Jing (Marrow and Brain Washing Classic). These works are used at the Shaolin temple to teach Qigong and gong fu. One can view the Shaolin Change Tendon and Wash Marrow Gong Fu on video via You-Tube. The martial arts styles Hung Gar and Wing Chun maintain the legend that Bodhidharma developed the Twelve Posture Moving Exercise or “Twelve Fists of Bodhidharma” based on observations of twelve animals. 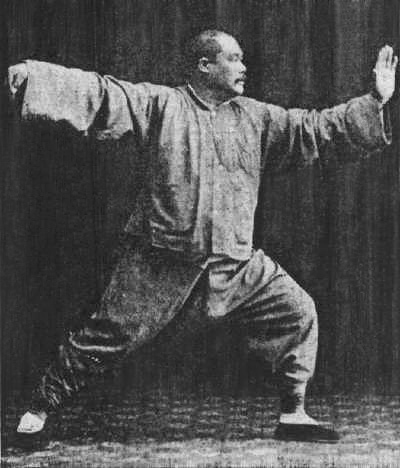 There are no early sources for the books traditionally attributed to Bodhidharma, but in 1858 Pan Weiru wrote the “Essential Techniques for Guarding Life,” which described the Twelve Posture exercises in the Muscle and Tendon Changing Classic. In 1882 Wang Zuyuan published the “Internal Techniques Illustrated” with the same methods to strengthen muscles and tendons with Qi cultivation. Grandmasters of the Shaolin Temple Shi DeRu (Shawn Xiangyang Liu) and Shi DeYang (Shi WanFeng). Shi Deru 2015. The Luohan quan or “Arhat fist,” named for Buddhists who have been enlightened, is the oldest style of gong fu practiced at the Shaolin temple. It was created by Shaolin monks during the Sui dynasty (581 – 618 CE) and has been passed down in various lineages through the generations. “Luohan” is an over-arching term for all Shaolin boxing as well as many styles within the Shaolin system. The several Shaolin Luohan Eighteen Hands are considered the roots of the Shaolin styles of gong fu. There are countless Qigong and martial arts forms in the numerous styles of gong fu. Shaolin gong fu is the oldest and largest extant school of gong fu and encompasses hundreds of different styles and over a thousand various forms that have survived to this day. One of the oldest Shaolin gong fu forms is the Seven Star Fist. The Chinese Health Qigong Association has officially recognized these Buddhist and Daoist health qigong forms from traditional practices: Muscle-Tendon Change Classic (Yì Jīn Jīng), Five Animals (Wu Qin Xi), Six Healing Sounds (Liu Zi Jue), Eight Pieces of Brocade (Ba Duan Jin), Tai Chi Yang Sheng Zhang, Shi Er Duan Jin, Daoyin Yang Sheng Gong Shi Er Fa, Mawangdui Daoyin and Da Wu. For those who wish to investigate further, Wikipedia lists these other well-known styles of Qigong: Soaring Crane Qigong, Wisdom Healing Qigong, Pan Gu Mystical Qigong, Wild Goose (Dayan) Qigong, Dragon and Tiger Qigong, Primordial Qigong (Wujigong) and Chilel Qigong. Certain taijiquan postures are used for standing stationary meditation, such as “Beginning Posture,” “Single Whip,” “Lift Hands” and “Holding a Jug.” The Eight Pieces of Brocade (Baduanjin qigong) is an ancient Chinese form consisting of motionless postures. Most Qigong involves movement. Every action is coordinated with the breath and the mind in a practiced routine. The Daoist Taijiquan (Grand Ultimate Style), Xingyiquan (Five Elements Style) and Baguaquan (Eight Trigrams Style) forms are all Qigong in motion. These must be learned from a teacher. Qigong can be a form of calisthenics, a form of physical exercise using mainly body weight to improve flexibility, strength and fitness, commonly practiced in sports and the military. Some popular callisthenic exercises are push-ups, squats, lunges, dips and planks, among others. Qigong is best for the mind and body when it is callisthenic and aerobic, that is, when it strengthens the muscles and exercises the cardio-vascular system. Calisthenics has been shown to have many benefits, including working several muscle groups at once for a natural build, burning calories better than many aerobic workouts, building endurance, increasing resting heart rate, helping flexibility, improving balance and coordination and boosting self-esteem. Calisthenics has a lower risk for injury than weight machines and aligns joints rather than stressing them. Ancient theories about Qigong as a type of subtle energy may not hold water, but some more modern theories of Qigong as a measure of various aspects of health seem to hold up under scientific scrutiny. Qigong practices have been shown to have health benefits. Qigong is also useful as a healthy preparation for motionless mindfulness meditation. Proper forms of Qigong are certainly recommended as part of a holistic lifestyle. All Chinese martial arts, which are called wushu, derive from Shaolin boxing (quan), popularly known as Shaolin “Kung Fu” (gongfu) from the Shaolin Temple Chan Buddhist monks who originated the body-strengthening and self-defense exercises. Like the Shaolin Temple monks, Wudang Mountain Daoist monks have developed martial arts based on Qi circulation exercises. Tai Chi Chuan (taijiquan), based on yin-yang philosophy; Hsing I Chuan (xing yi quan), based on the five elements theory; Pa Gua Chuan (bagua quan), based on the eight trigrams theory; and Wudang Kung Fu are the styles of Wushu developed by the Daoist monks of Wudang Shan in Hubei. 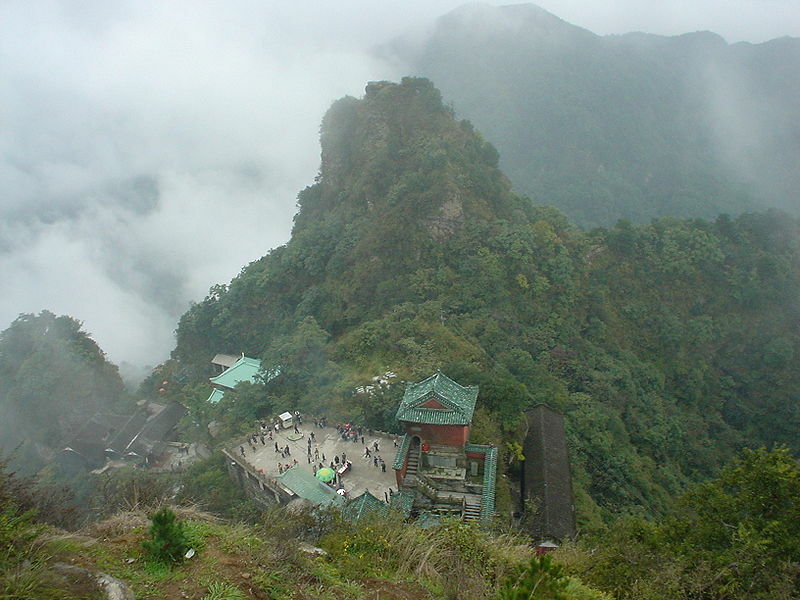 Mount Wudang in Hubei region, China, developed its own unique style of alchemical military magic Daoism. The monks of Mount Wudang especially venerated the warrior god Zhenwu (True Warrior) or Xuanwu (Dark/Mysterious Warrior), symbolized by the serpent wrapped around the tortoise. The Pole Star Sect developed a system of esoteric Daoism or magic ritual that includes precise steps upon a pattern based on the seven stars of the constellation called the Northern Dipper, also known as the Northern Bushel, the Big Dipper, and Ursa Major. Traditional mudras or “hand seals” are made with magical incantations and visualizations. Magical charts and talismans are created for ritual purposes. Early Daoist internal martial arts, or long fist, began with the thirty-seven movements Sān Shí Qī style of the Tang Dynasty (618-905) hermit Hsa Suan Ming, in the mountains of Anhui Province. The movements were based on Yijing philosophy and strung together as a form. Jou, Tsung Hwa in his book The Tao of Tai-Chi Chuan, Way to Rejuvenation, notes three other examples of long fists that existed previously to taijiquan. The first taijiquan proper first appeared with the Chen family in a village at the base of Mount Wudang, but later taijiquan masters of the Yang style associated the origins of their art with the legendary Zhang San Feng. Most of the Zhang San Feng legend is myth, such as the belief that he lived to be 200 years old, living through the Sung, Yuan and Ming Dynasties. According to tradition, he was born on midnight of April 9, 1247, a day that is still celebrated by taijiquan players. He is said to have died in 1447. One theory holds that there were two Zhang San Fengs who lived on Mount Wudang, one who lived 960 – 1279 and another who lived 1279 – 1368. It is very likely that several daoists chose to adopt the name Zhang San Feng after the legendary sage. Jou, Tsung Hwa, The Tao of Tai-Chi Chuan, Way to Rejuvenation, Tai Chi Foundation, Warwick, NY, 1991, pp. 9 – 10. The famous Zhang San Feng was a Daoist priest who was born on or near Dragon-Tiger Mountain, lived on Ge Hong Mountain and Hua Mountain, studied at the Shaolin Temple, retired on Mount Wudang and became a Xian, a Daoist enlightened immortal. Like the Greek Cincinnatus admired by George Washington and other Western luminaries, Zhang San Feng was a gifted young man from a prominent family, eligible for high office but preferring to live simply and closer to nature, without great wealth or honors. He is said to have avoided serving two emperors. The legend goes that Zhang San Feng was at home on Mount Wudang and noticed a flock of birds watching a fight on the ground between a magpie and a serpent. The serpent moved in circles as the magpie flew up and down and side to side. The bird and the serpent disappeared when Zhang San Feng stepped outside. He realized that softness was superior to firmness in a fight and thus invented taijiquan. A different version of the legend states that the serpent stayed still and would strike quickly, until it finally did kill the bird. Another story claims that Zhang San Feng first saw taijiquan in a dream. His new 72-movement boxing style was based on Shaolin gongfu, Daoist Qigong and the teachings of the Book of Changes, or Yi Jing (I Ching). Modern scholarship has found that Taijiquan was actually invented by the Chen family, who were known for their martial arts. The family occupied Chen Village (Chenjiagou) at the base of Mount Wudang in Henan Province from the thirteenth century. In seventeenth century Ming Dynasty soldier Chen Wangting (1580–1660 CE) arranged seven routines from the Chen family martial arts regime. Five routines were taijiquan, one was a 107 movements long fist, and the last was a speed punching method known as Cannon Fist. In 1670 Huang Zongxi claimed in Epitaph for Wang Zhengnan that Zhang San-Feng invented internal martial arts. In the 1870s the Yang family echoed that claim. Some scholars assert this was done in order to connect their martial arts with a famous Daoist hsien. The actual founder of the taijiquan known today was Chen Wangting. Although folklore theorizes that Chen Wangting learned his taijiquan from Wang Zongyue, the student of Zhang San-Feng, the Chen family holds that Chen Wangting developed his skills from the teachings of Qi Jiguang (1528 – 1588), posthumously Wuyi, a military general of the Ming dynasty. The Chen routines utilized theories of Daoist philosophy, Traditional Chinese Medicine, movements in the four cardinal directions and four corners, and coordinated breathing. Chen Changxing (1771–1853 CE) developed the two forms in use and taught by the Chen family today, the First Form and Second Form. All five traditional schools, Chen, Yang, Wu, Sun and Wu (Hao), derive from the original Chen style taijiquan. Yang style is the second most senior taijiquan of the three primary styles, Wu being the third. Yang Luchan (1799–1872 CE) was a farm hand to the Chen family in the 1820s when Chen Changxing accepted him as the first non-family student of taijiquan. Yang returned to his home in Hobei Province and taught taijiquan to the locals. Later, Yang went to the capital in Beijing and taught his style of taijiquan to members of the royal palace guards and eventually, to the royal family. Yang Luchan’s grandson Yang Chengfu (1883–1936 CE) finalized the standardized Yang style long form of taijiquan and was the teacher of the famous Cheng Man-ch’ing or Zheng Manqing (1902 -1975 CE), one of the first to teach taijiquan in the West. Yang Luchan was the teacher of Wu Ch’uan-yu or Wu Quanyou (1834–1902) and his son Wu Chien-ch’uan or Wu Jianquan (1870–1942 CE), the founder of the Wu style taijiquan. 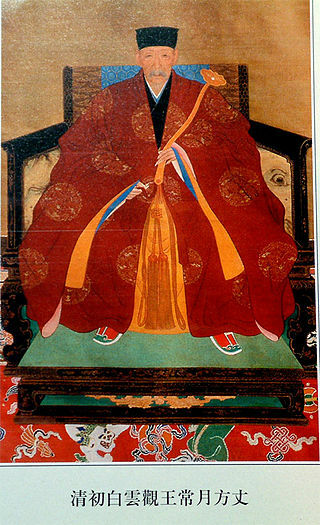 The elder Wu was a Manchu hereditary cavalry officer in the Yellow Banner camp of the Forbidden City and an Imperial Guard in the Qing Dynasty. He opened his own taijiquan school in Beijing. The junior Wu was a cavalry officer and Imperial Guard, as well, and taught his style of taijiquan in Beijing, Shanghai and Hong Kong. Wu Yu-Hsing or Wu Yu-xiang (1812 – 1880 CE), a wealthy government official and student of Yang Luchan, was the founder of the other Wu (Hua) style taijiquan. Sun Lu-t’ang or Sun Lutang (1860-1933) was a student of Wu Yu-xiang and the founder of the Sun style, which was influenced by xingyiquan and baguazhang. Yang Chengfu, Yang Shao-hou or Yang Shaohou (1862-1930), Wu Quanyou and Wu Yu-xiang joined together to teach taijiquan at the Beijing Physical Education Research Institute. Although today there are a plethora of contemporary books with translations of source documents, scholarly histories and explanations of taijiquan, Jou, Tsung Hwa should be honored for his early publication of core texts of the three main styles. Chen style was illustrated by Chen Xin and published posthumously in a book called Chen’s Tai-Chi Chuan in 1933. In 1934 the secrets of Yang style as taught by Yang Chengfu were published. Today these documents are available in The Essence and Applications of Taijiquan (2005). Wang Zhongyu’s (c. 1750) Treatise on Taijiquan, Wu Yuxian’s (1812 – 1880) The Theories of Thirteen Postures, sometimes attributed to Wang Zhongyu, and other classics can be found HERE. The acclaimed scholarship of Lu Kuan Yu, a.k.a. Charles Luk, Taoist Yoga, Alchemy and Immortality and Jou, Tsung Hwa, The Tao of Tai-Chi Chuan, Way to Rejuvenation, describe very well the inner workings of traditional Daoist meditation, qigong, alchemy and taijiquan in their capacity as secular health modalities. While the religious viewpoints and visualizations have been excluded from these explanations, the traditions are yet pseudo-science. Further investigation into Daoist exercises is warranted. Like Western alchemy, Daoist alchemical operations could follow any number of steps. 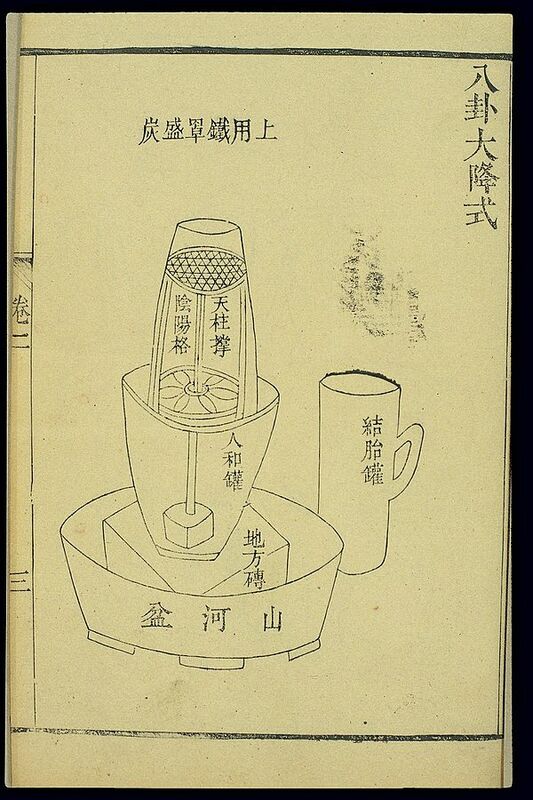 Whereas alchemy in the West often followed a seven or twelve stepped process, Lu K’uan Yu, or Charles Luk (1898 – 1978), described a procedure of eight operations from The Secrets of Cultivation of Essential Nature and Eternal Life, written by Zhao Bichen, or Chao Pi Ch’en (1860 – 1942.) 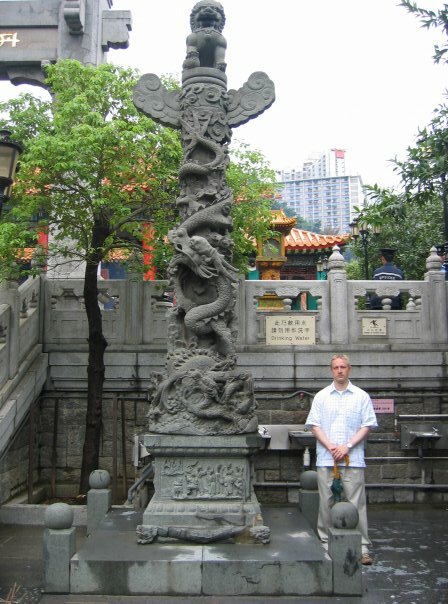 Charles Luk made Chinese symbolic alchemy accessible to English readers in Taoist Yoga: Alchemy and Immortality by decoding the original alchemical symbolism to terms more properly belonging to Traditional Chinese Medicine. It is the future task of modern science to further decode these claims into scientific language and provide notes on the real processes at work in these spiritual exercises. 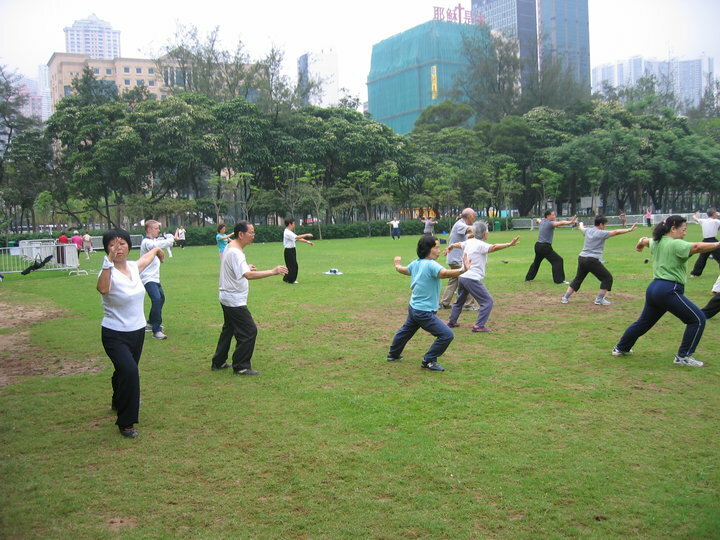 Today taijiquan, like meditation and Qigong, is a global phenomenon practiced mainly for its health benefits. The rituals and visualizations of Daoist inner alchemy have been slower to gain interest in the West, and are therefore rarely published and difficult to find. As academics and the general public discover more about these obscure traditions, alchemical systems will become more accessible. The world is becoming smaller due to advances in transportation and communication. Because of this, we can expect to see a renaissance of wisdom in the cosmopolitan sharing of ideas and disciplines between East and West. We are living in exciting times, the first witnesses to fascinating discoveries, as modern science is applied to ancient meditations. An excellent site about Zhang San Feng with sources and a full bibliography.